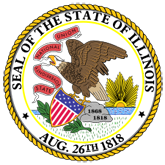 Press Release: The Illinois Department of Employment Security (IDES) announced today that Illinois unemployment rate in August declined to 5.6 percent and nonfarm payroll employment shed -900 jobs, based on preliminary data released by the Department and the U.S. Bureau of Labor Statistics (BLS). The states job numbers dropped for a third consecutive month, keeping Illinois below the national average and further delaying Illinois economic recovery from the 2007-2009 recession. 1. August Jobs in Illinois Decrease -900 while Unemployment Rate Declines to 5.6 (15-0877-IDES_August_Unemployment_Rate_Release.pdf).